Entrants in the 2009 Classic Outback Trial from August 30–September 5 will be tested over more than 20 special stages, ranging from rugged bush tracks to bitumen before the event joins Repco Rally Australia on the New South Wales north coast. The Trial’s first Official Course Survey has just been completed in a Nissan X-Trail Diesel, with organiser Philip Bernadou confirming a 3,500km, six-day route through New South Wales, starting in Forbes and finishing at Tweed Heads. Bernadou said more than one fifth of the course would be competitive and would incorporate a number of the stages of the World Rally Championship course including the public Super Special Stage on the streets of Murwillumbah. The survey covered 3,321km with the X-Trail used to determine the suitability of the course for the anticipated wide range of competing vehicles. Vehicles eligible for the Classic Outback Trial are Historic Rally Cars built prior to 1981, Classic Rally Cars built prior to 1983, Production Rally Cars built prior to 1996 and station wagon-type Recreational Four Wheel Drive vehicles made prior to 1990, including Turbo Diesel models. Four wheel drive and turbocharged cars are not eligible. 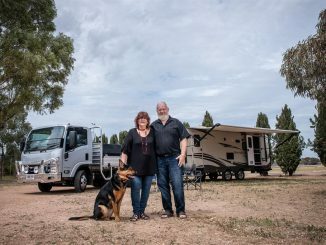 Running alongside the Trial and sharing the same overnight stops will be the Classic Outback Tour, which is open to any road-registered vehicle, without the requirement for roll-over protection and other special rally modifications. Despite encountering severe off-road conditions at times while pioneering the route, Bernadou said the X-Trail proved very capable off the bitumen and averaged an impressive 8.8 litres/100km overall. Bernadou said Forbes was chosen as the Trial’s starting point because of its central location for Queensland, New South Wales and Victorian entrants, its compact size and its access to challenging roads on large rural properties in the adjoining Forbes and Condobolin shires. Competitors will spend at least two nights in Forbes, which will host a special welcome function at its Town Hall on Sunday August 30. Forbes Mayor Cr.Phyllis Miller said the event was expected to provide a boost to the local economy and would be popular with the Shire’s many car and motorsport enthusiasts. The Forbes-Condobolin loop on Day 1 will start near the Town Hall, with entrants completing three stages on private properties in the area. The route will follow some of the easier sections of the annual Condo 750 4WD offroad event. From Forbes, the Trial field will complete a further four stages as it moves to Coonabarabran. Using the town as a base for two nights, the field will encounter more special stages as it makes another loop through rural properties in the region. Day four will consist of four more special stages in the North West area of Coonabarabran, with the event spending the night in Glen Innes. The final two days of the Classic Outback Trial will be held in the Tweed Heads region, where competitors will use some of the same special stages as World Rally Championship competitors in Repco Rally Australia.